Particle beams of various kinds – electrons, positrons, photons and neutrons – arrive at the BTF (Beam Test Facility) laboratory, directly derived from the electron beam of the DAΦNE Linac. The laboratory has the peculiarity of providing various types of beams: each has a variable number of constituent particles and energy, within the limits allowed by the properties of the primary beam of the Linac. DAΦNE is the collider currently in operation in Frascati. The accelerator consists of 2 rings approx. 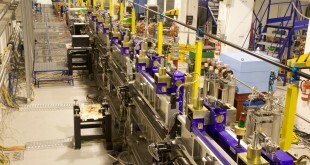 100 m in length, in which high-intensity electron and positron beams circulate and intersect in two possible interaction points, one of which is currently in use and holds the experiment’s detector KLOE-2. The total energy of the beams in the reference system of the centre of the mass is equal to 1.02 GeV, corresponding to the mass of Φ mesons which are produced at the rate of 300 per second. 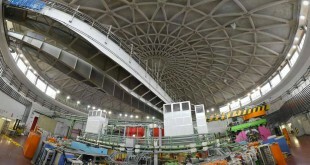 The first particle beams started circulating in DAΦNE in 1997. “To make the invisible visible” This is the synchrotron light laboratory of the National Laboratory of Frascati. 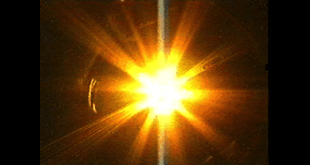 Synchrotron light is the radiation emitted by accelerated charged particles – in the case of DAΦNE, electrons – that travel at relativistic speeds. The radiation produced has high luminosity and wavelengths which extend, in a continuous manner, from infrared to X-rays, making it an ideal probe for studying physical systems with dimensions ranging from those of the atom to those of biological systems such as cells and tissues. 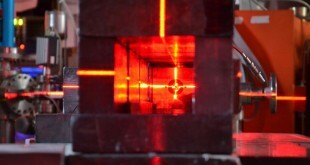 The SPARC_LAB laboratory was born as the integration of one last generation accelerator (SPARC) and one very powerful laser (FLAME). It hosts a Free Electron Laser (FEL) which observed a radiation coherent between 500 nm (Green) and 40 nm (UV). This radiation is produced injecting SPARC’s electron beam into a series of magnets with alternate polarity. The SPARC FEL emits ultrashort pulses (lasting 0.1-1 pico-seconds). This class of devices allows therefore the study of extremely rapid chemical reactions, relevant to biomedic research.